This is a sample script showing how I pull web-banking balances off the internet when I want to have a total picture of how my finances are. For the boring reasoning go to the last page. Otherwise technical details follow. The code below is an example of how to do this missing error handling. 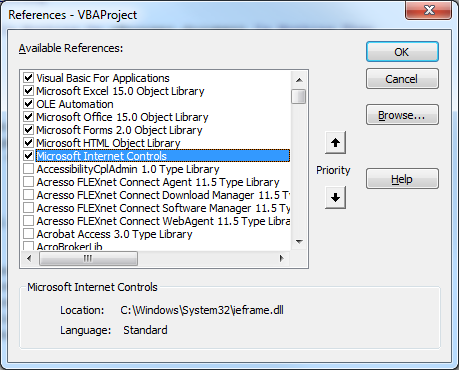 As it uses IE, it saves the developer the task of implementing SSL in VBA. Loop Until oBrowser.document.readyState = "complete"